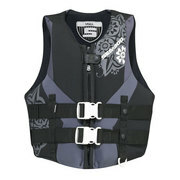 The ladies on your list enjoy Sea-Doo gear just as much as the guys! Here are our hot holiday picks for that special lady in your life! Check out all of the gifts that our elves picked out for her here. 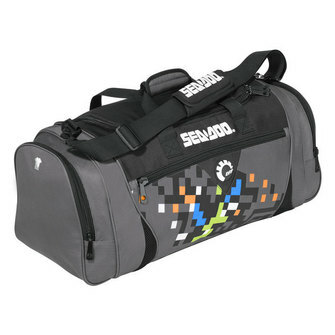 Sea-Doo Duffle Bag: Everything fits into our Sea-Doo Duffle bag. Pack it for a day on the water or a weekend getaway. It’s made of durable polyester and includes a segmented mesh inner pocket, a cooler side pocket and a waterproof compartment. The Duffle bag has a comfy shoulder protector and is roomy measuring in at 24” x 12” x 12” (60 cm x 30 cm x 30 cm). Buy now! 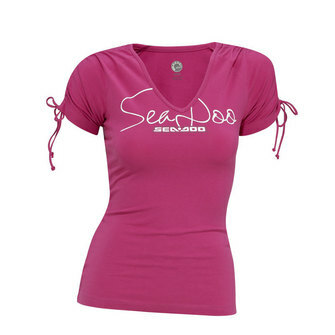 Sea-Doo Signature Tee: Comfortable and stretch, the Sea-Doo Signature Tee is a must-have for anyone on your list. It is made of a stretchable fabric and has sleeve ties to adjust the sleeve length. The shirt comes in two colors, pink or white. Pairing the pink shirt with our Technical Riding Boardshorts make a perfect outfit for a day on the water or playing in the sun. Buy now! Technical Riding Boardshorts: Constructed of 4-way lightweight quick-dry fabric, our Technical Riding Boardshorts are both comfortable and practical. They include a lightweight stretch neoprene removable lining. These shorts dry quickly when headed inside and are comfortable enough to wear all day. Buy now! Sea-Doo Cap: Our Sea-Doo cap offers stylish protection from the sun and wind. 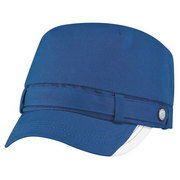 Available in blue or white the cap stretches for comfort due to elastic in the back of the cap. Buy now! Ladies’ Freewave PFD: Ladies love our fitted technical Freewave PFD. The design provides a full range of motion, comfort and warmth. The outer shell is made from ultra-durable neoprene and includes soft, beveled PVC foam inserts. The closure includes two woven straps with quick release buckles and a heavy-duty front zipper. There are strategically placed mesh drain panels so the PFD dries quickly. Of course, any Sea-Doo PFD is not complete without a D-ring attachment for your floating Sea-Doo lanyard! Our PFDs are made to fit snugly, so please ensure you consult our sizing chart before you order a PFD for that special someone. Buy now! Ladies’ Rashguard: Stylish. Comfortable. Protection. The Ladies’ Rashguard provides SPF 50 UV protection and fits perfectly under our Freewave PFD. 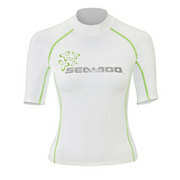 The rashguard is available in festive holiday colors: white, red or green (shown to the side). Buy now! 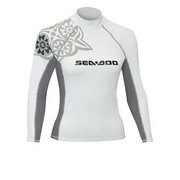 Ladies’ Pro Rashguard: If long sleeves is more her (or your) style try our Ladies’ Pro Rashguard. With the same SPF 50 UV protection this Rashguard offers full protection with long sleeves. The Pro Rashguard is available in white as shown. Buy now!